Student Engagement Center | Sami Braman ’20 Learns Inner-Workings of Music Distribution with Smithsonian Folkways Recordings in Washington D.C.
Sami Braman ’20 Learns Inner-Workings of Music Distribution with Smithsonian Folkways Recordings in Washington D.C.
My name is Sami Braman and this summer I’m interning at Smithsonian Folkways Recordings thanks to the Whitman Internship Grant. I’m a rising junior, double-majoring in music and English. Imagine a place where you can listen to all the world’s sounds—from the woosh of a New York Subway to the drones of Irish Uilleann pipes, from the calls of African Pygmy singers to the twinkle of Paraguayan harps, from the clicking of typewriters in a 1964 office to Pete Seeger’s banjo songs. That place exists, and it is called Smithsonian Folkways Recordings. 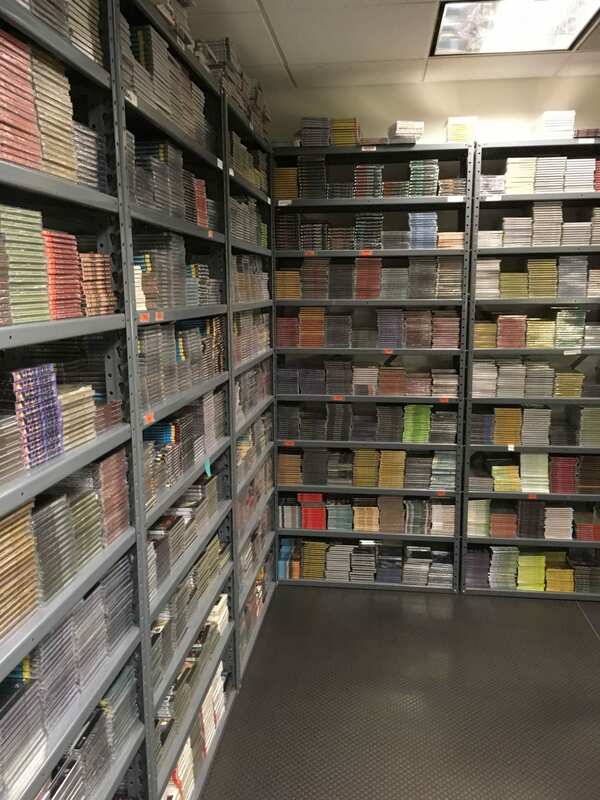 Located in Washington D.C., this non-profit record label is a place where sound, in all its forms, is documented, preserved, and made accessible to the public. Folkways produces music that is socially relevant, often featuring voices of marginalized people, and music that consistently stands the test of time. Moses Asche, founder of Folkways in 1948, avoided producing ‘hits’ because they go in and out of relevance too quickly. He wanted Folkways music to be listened to forever. Even if a record wasn’t selling well, Asche would never stop printing it. As he said, “Would you take the letter ‘q’ out of the dictionary because it is used less than other letters?” (quote from Folkways website). This vision still rings true today as every single album under Folkways (dating back to Asche’s first recordings in the 40s and even earlier archival field recordings) is still available to the public at all times. 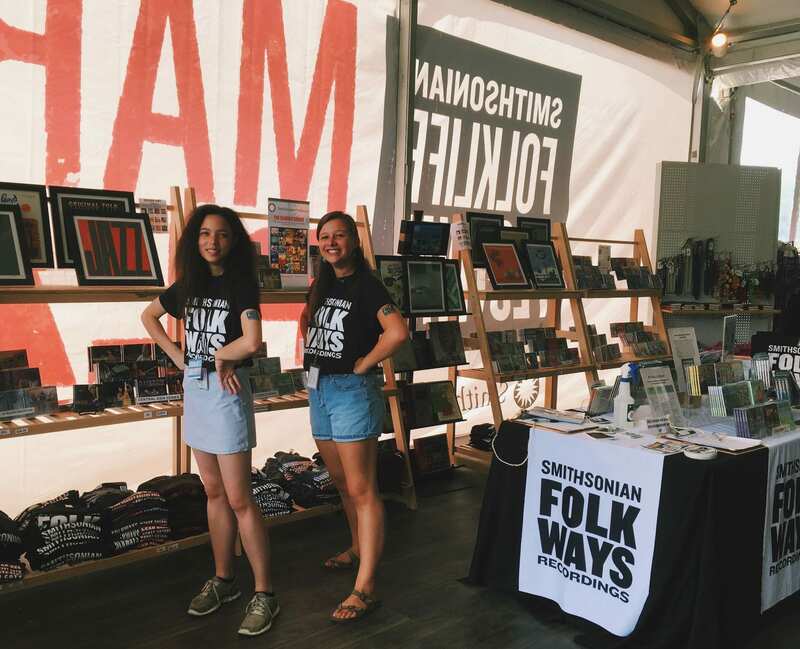 As a Folkways intern, I had the privilege of helping fulfill this vision leading up to the big annual Smithsonian Folklife Festival at the National Mall. The Folklife Festival has two regional focuses every year. This year, the regions are Catalonia and Armenia. Our task was to determine what Folkways music we wanted to sell at the festival Marketplace. So, on my first day at Folkways, I started the process of listening to every Catalonian album released on the Folkways label. There is only one Catalonian album, made up of protest songs recorded in 1971, so I expanded my listening to Spanish music, and then to Latin music. I documented which albums were my favorite, writing down their information on a spreadsheet so my two fellow interns could review them and mark their favorites. 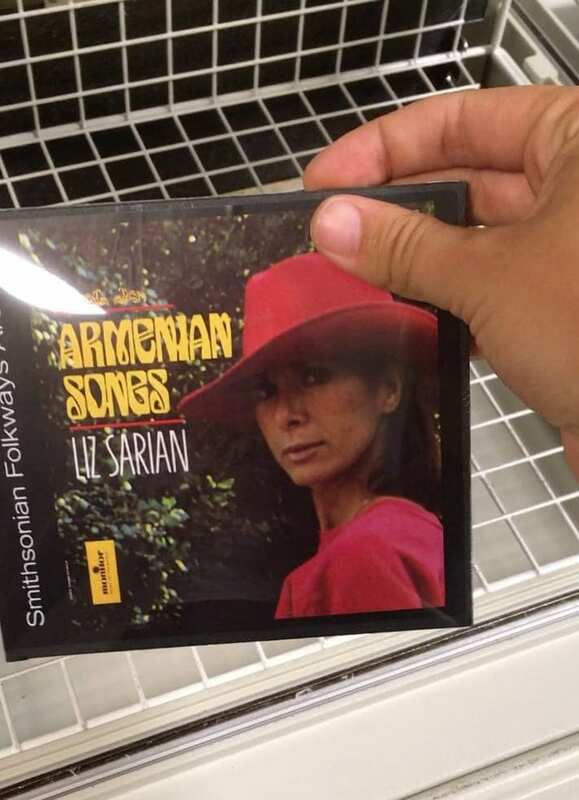 We then listened to the Armenian albums. I’d never listened to these styles before, so it widened my musical horizons immensely. Finally, we got to pick a few of our personal favorite albums. As a folk musician myself, I grew up listening to these Folkways albums without ever realizing it. I’m a fiddler, and I remember learning tunes off of the Folkways Classic Old-Time Fiddle compilation record when I was little. I made sure to include as many fiddle-driven albums as possible so I could recommend them and nerd-out with fellow fiddle-loving listeners at the festival. After narrowing down the album list, we started working in the mailroom, reprinting the older selections (never out of print!) and folding CD packaging. I learned how to use this very magical and exciting shrink-wrap machine! We then boxed up the albums and LPs to transport them down to the Mall. Staffing the Folkways booth at the festival has been just as much of a folk music nerd-fest as I’d been hoping for. I’m excited that some of my favorite music is being listened to by new ears this week because of my suggestions. It is a progressive act to widen somebody’s musical horizons because it provides an opportunity for cultural understanding and empathy, two qualities that have been largely neglected in such a time of societal xenophobia. It’s easy to shrug off foreign music as too “weird”, but that’s not an option at Folkways. Every voice is valid. It’s comforting to know that not all music labels are big scary corporate machines. I used to think of the business side of the music industry as antithetical to the music itself. (Music isn’t about the money!) But Folkways isn’t like that. During this internship, I realized that the business of distributing music can be just as significant as the act of performing it: It gives a voice to people who otherwise wouldn’t have a platform for expression, and I’m so proud to be a part of that process.